Vehicles used for business purposes are typically easy to identify and know whether you need commercial auto insurance. But if you use a car, for example, to run business-related errands or transport clients or tools, you may need commercial auto insurance for that vehicle. So in order to not just be in compliance with the laws of California, but also your own peace of mind, look to the experts at California Contractors Insurance. We provide the most comprehensive and affordable commercial auto insurance in the state. Our coverages are designed for any type of vehicle you have in your stable whether it’s cars, trucks, or vans, etc. What can you expect when you work with California Contractors Insurance for your commercial auto insurance needs? Besides the best agents in the state of California, you’ll get the most affordable yet comprehensive coverage in California . Which includes coverage for any vehicle, liability, medical payments, physical damage, hired auto, uninsured motorist, non-owned coverage, and more. You’ll get this coverage tailored by a professional with vast knowledge and experience with commercial auto insurance. This will provide you with the peace of mind you need not to mention satisfying all state of California legal requirements. As an independent contractor, this is the commercial auto insurance you need. Regardless of the number and types of vehicles your business utilizes, the knowledgeable commercial auto insurance agents at California Contractors Insurance can provide you with the policy and coverage you need. So call us today at (888) 728-4034, request a quote, or ask a question of one of our friendly associates. You’ll be glad you did. If your business in California counts on its automobiles for transport, then commercial auto insurance is required. Huge companies with large fleets, in addition to small businesses with single cars require the insurance plan in place. 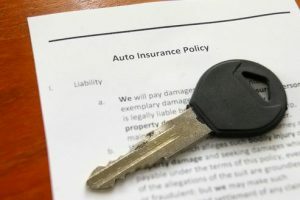 The commercial auto insurance policy is an insurance plan that covers automobiles that are not covered by individual auto insurance plans, that is, cars that are used for business purposes. The insurance covers for damages, injuries, and liabilities incurred during the use of the vehicles. The commercial vehicle insurance plan covers all kinds of vehicles utilized by the business, from small vehicles to heavy commercial trucks (including vans, food trucks, box trucks and service energy cars– SUVs). The insurance coverage in California might also be referred to as fleet insurance or truck insurance. Since individual cars are not meant for business usage, they are rated and written off differently from the cars used commercially. 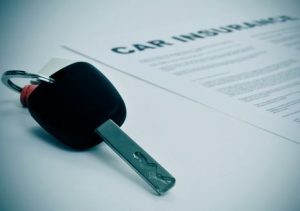 The compensation plans also differ between personal and commercial auto insurance policies. For instance, the plan takes in account the commercial automobiles are managed by authorized staff members in California who are governed by work policies with regards to the automobiles. This helps the insurer know when and who to appropriate the blame in case of mishaps, damages, as well as death. The commercial auto insurance policy comes with different types of protection. • Physical injury liability: this type of coverage pays for physical injury or death, as well as providing with legal defense if your business is at fault. • Property damage liability coverage: This coverage protects you in case the vehicle damages another individual’s property in the course of business. You might also get legal defense. • Accident protection: This insurance coverage pays for the medical expenditures of the residents in case of an accident, no matter who is at fault. It is also known as the no-fault or medical payments coverage. • Uninsured driver coverage: This coverage pays for the injuries and to a degree, property damage brought on by an uninsured chauffeur (or for the most parts, a hit-and-run chauffeur). • Combined single limitation coverage (CSL): This is a coverage that offers separate limitations that apply for physical injury and property damage. It has the same amount of coverage (in terms of money) that makes an application for either bodily injury, property damage, or whether several people were involved in the accident. • Accident coverage: This coverage pays for your vehicle when it is hit by another object, or when it triggered the crash. • Comprehensive physical damage coverage: This coverage pays for the vehicle in case of other uncontrollable circumstances like floods, fire, vandalism, and theft. This type of insurance coverage is meant to protect your business from expensive claims in case your vehicle triggered the accident. It also protects the business in that its owner will not sustain the extra cost of vehicle repair and even fleet replacement despite who triggered the mishap. Therefore, it’s a no-brainer that commercial auto insurance coverage is compulsory for any business that operates an automobile throughout its operations.